The background of this piece is a monoprint printed on a piece of a sewing pattern. 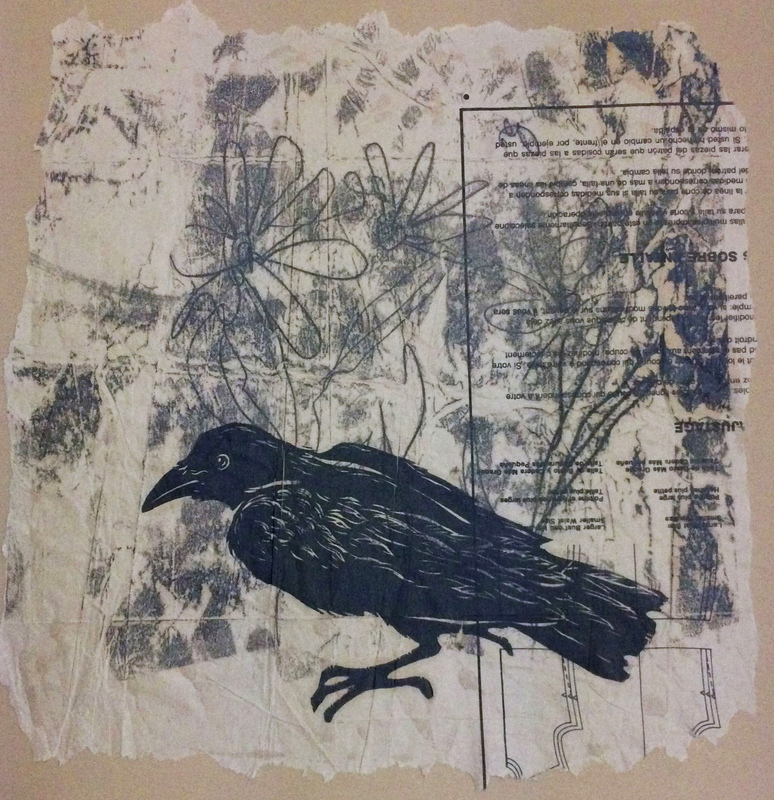 The crow is a linoleum print and that piece of artwork is mounted on a piece of tan printmaking paper. A very striking image. This artwork is unmatted. It is shipped flat on a piece of archival foamboard and in a plastic sleeve for protection. Mounted on a piece of 16"x20" archival foamboard.